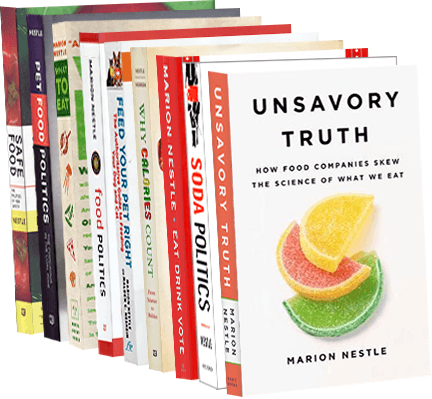 Food Politics by Marion Nestle » Corrections to the list of industry-funded studies: the count is again 135/12. Corrections to the list of industry-funded studies: the count is again 135/12. Readers have filed corrections to previous postings on industry-funded studies (see here and here). I am most grateful for their sharp eyes. No excuses, but I’m having a hard time keeping them straight because there are so many, some are published first online and then again in print, and sometimes I just get them wrong. Apologies. The corrections reduce the count to 132/12. But here are three more to bring it back up to 135/12. Management of obesity. George A Bray, Gema Frühbeck, Donna H Ryan, John P H Wilding. The Lancet. Published online February 8, 2016 http://dx.doi.org/10.1016/S0140-6736(16)00271-3. Conclusion: For patients who struggle with weight loss and who would receive health benefit from weight loss, management of medications that are contributing to weight gain and use of approved medications for chronic weight management along with lifestyle changes are appropriate. Medications approved in the USA or European Union are orlistat, naltrexone/bupropion, and liraglutide; in the USA, lorcaserin and phentermine/topiramate are also available. Surgical management (gastric banding, sleeve gastrectomy, and Roux-en Y gastric bypass) can produce remarkable health improvement and reduce mortality for patients with severe obesity. Declaration of interests GAB is a consultant to Herbalife International and Medifast; a member of the Speakers Bureau for Novo Nordisk Pharmaceuticals and Takeda Pharmaceuticals; and receives royalties from Up-to-Date and Handbook of Obesity. GF is a consultant to Novo Nordisk Pharmaceuticals. DHR is a consultant to Novo Nordisk Pharmaceuticals, Takeda Pharmaceuticals, Eisai Pharmaceuticals, Vivus Pharmaceuticals, Janssen Pharmaceuticals, Amgen Pharmaceuticals, Real Appeal, Gila Therapeutics, Tulip Medical, and Scientific Intake; is on the speakers’ bureau for Novo Nordisk Pharmaceuticals, Takeda Pharmaceuticals, Eisai Pharmaceuticals, and Vivus Pharmaceuticals; and has equity ownership in Scientifi c Intake. JPHW received grant funding from Novo Nordisk and AstraZeneca, and is a consultant to Novo Nordisk, Janssen Pharmaceuticals, AstraZeneca Pharmaceuticals, Boehringer Ingelheim Pharmaceuticals, and Pfi zer Pharmaceuticals. Conclusions: The physiological functions of CHO foods consumed ad libitum at meal time on food intake, appetite, BG, insulin and gut hormone responses in children is not predicted by the GI [glycemic index]. Acknowledgements: This study was supported by the Alliance for Potato Research and Education (APRE). Comment: David Ludwig, M.D., PhD says: “Potatoes are at the top of the list for weight gain according to the best epidemiological research studies. A small new study claimed that potatoes actually had beneficial effects on appetite. There’s just one thing: The study was fully funded by the Alliance for Potato Research and Education, whose mission is to ‘recognize the role of all forms of the potato in promoting health for all age groups.’” Here’s the press release from the Alliance for Potato Research & Education. Nutrient Intakes and Vegetable and White Potato Consumption by Children Aged 1 to 3 Years. Maureen L Storey and Patricia A Anderson. doi: 10.3945/​an.115.008656. Adv Nutr January 2016 Adv Nutr vol. 7: 241S-246S, 2016. Conclusion: The consumption of all vegetables, particularly those that are excellent sources of potassium and DF, such as potatoes, should be encouraged. Funding: Presented at the Roundtable on Science and Policy: Adopting a Fruitful Vegetable Encounter for Our Children. The roundtable was sponsored by the USDA/Agricultural Research Service Children’s Nutrition Research Center, Baylor College of Medicine, and was held in Chicago, IL, 10–11 November 2014. The roundtable and supplement publication were supported by an unrestricted grant from the Alliance for Potato Research and Education. The roundtable speakers received travel funding and an honorarium for participation in the meeting and manuscript preparation. Author disclosures: ML Storey is a paid employee of the Alliance for Potato Research and Education; PA Anderson is a paid consultant for the Alliance for Potato Research and Education. Comment: Potato trade associations must be really worried about views like those of Dr. Ludwig. Personally, I love potatoes and think they are delicious but should be eaten in moderation of course, and not in the form of French fries. Speculation: I wonder if frequent consumption of French fries could be a marker of unhealthful diets in general?